Grammy Winner plays the Ruby Lounge. 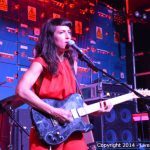 Appearing before a sell-out crowd at The Ruby Lounge, Foxes walked on stage to give an honest and genuine performance from an up and coming star, clearly filled with amazement and joy at the crowd cheering before her. The fact that she was at a relatively small venue belied that she already has a Grammy win under her belt, but at the same time reminded you that her debut album is yet to come. Against a backdrop which spelt out her name in lights – surely a portent of the future – Foxes showed she is a natural performer, clearing enjoying every moment and immersing herself in the live performance experience. She filled the stage with energy and vibrancy, embracing the music and pouring her soul into it. Playing a mixture of her own tracks as well as covers, including a daring version of Eminem and Rihanna’s The Monster, Foxes showed that she has an incredible voice, which suits high tempo tracks such as opening piece Talking to Ghosts as well as the more mellow and dramatic tracks such as White Coats. It is easy to see why Foxes has drawn comparisons with the likes of Kate Bush, Florence Welsh and even Bjork. And yet, at the same time, despite the plaudits and awards, Foxes retains an endearing nervous charm and energy. Her interactions with the crowd displayed a loveable vulnerability but genuine enthusiasm. Her lack of technical savvy, however, lead to a few moments of self-deprecating fun whilst she attempted (and sometimes struggled) to take selfies with various phones from fans (but then again she’s a singer, not a gadget show presenter! ), a refreshing change from the sometimes contrived efforts of longer established acts. Standout tracks Let Go for Tonight (which hit the top 10 in the singles chart this week), Clarity and Rudimental’s Right Here were the crowd pleasers of the night. 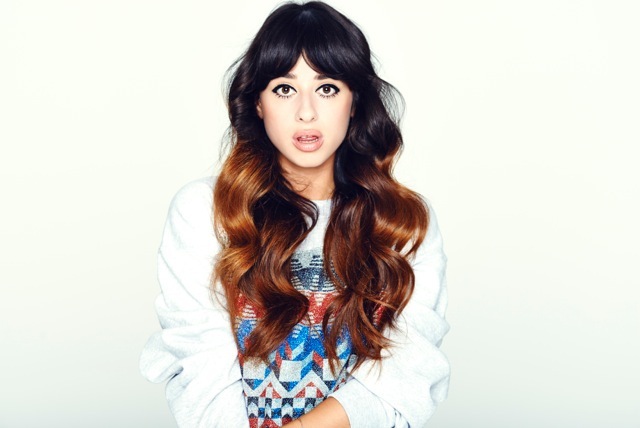 With her debut album coming shortly, the future looks bright for Foxes.